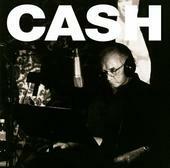 In about two weeks, the final installment of the Johnny Cash American Recordings albums will be available from both online sources like URGE and iTunes, as well as through record stores. It includes the final song written by Johnny Cash, a sad and slow number with a blues feel called Like the 309, Gods Gonna Cut You Down and 10 other tracks recorded over the last four months of his life. You can hear both Gods Gonna Cut You Down and Like the 309 on MySpace via a Johnny Cash member profile created almost two years after his passing. While there's something entirely odd about Johnny Cash having a MySpace account, especially posthumously, having access to the music for playback is nice in whatever form it takes.